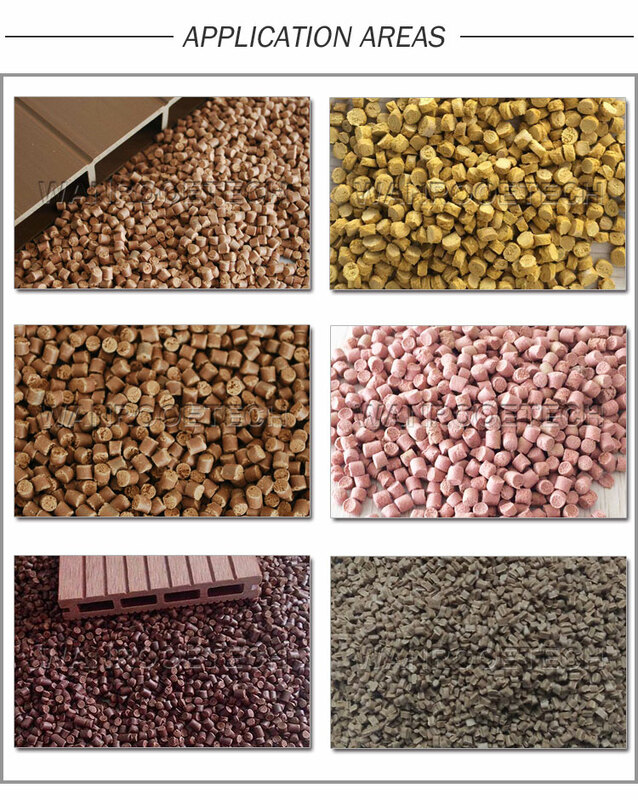 Wood Plastic Compounding Pelletizing Line is mainly granulating those PE/PP with wood powder and other additives through high mixer mixed formulation. The granulated Material can go to the WPC Profile Extrusion Line to extrude WPC Profile. The Main Extruder adopt build block type design, it’s an ideal equipment to extrude WPC formulation Granules. The manufactured plastic granules are even, dense and beautiful. The molding and blend effect of main machine is uniform in this unit, and structure is tight. Adopt wind sending & gathering and vibration separate type cooling system, which has high automation degree and production efficiency.